Guns Galore continues as we ramp up for SHOT Show 2018. SHOT Show, in case you didn't know, is the place to be for firearm industry professionals to get the new scoop on the industry as a whole, as well as any new products being released. It is a highly anticipated even that takes place mid-January each year, bringing in about 70,000 different media pros, gun buyers, and others from around the world. Glock announced their newest pistol, the G19X (pictured above), in a press release they sent out early yesterday. It is what they're essentially calling a “crossover” pistol in that it utilizes aspects from the G19 and the G17. It combines the two in that it's got a full-size G17 frame topped with a G19 slide. Also, it used to be that Gaston Glock's pistol company resembled the car company Henry Ford created generations ago in that you can have any color gun you want, as long as it's black. That seems to no longer be the case, as this is set to be the first colorized pistol to be manufactured by them. The Coyote Colored Coating they're using on the slide is known as nPVD, and is said to help aid in corrosion resistance, resist chemicals, and fight the elements. 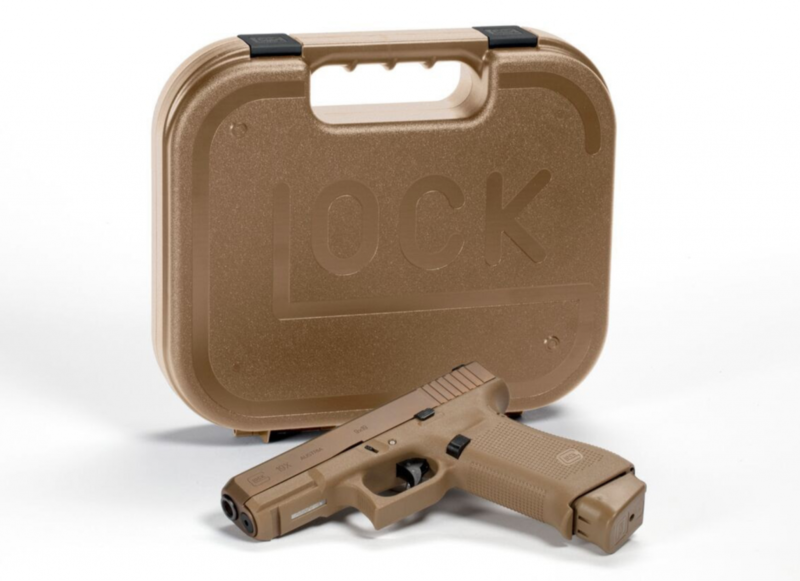 Glock says that this pistol will ship with a total of three magazines, one 17 round and two 17+2 and a color matched hard case. Also worth noting is that the Glock 19X comes standard with their Glock Marksman Barrel, or GMB, no finger grooves, and ambi slide-stop controls because lefty's lives matter, too. Overall, I know this one is something I'm stoked about, and I'm sure the rest of the team is, as well. So, the Gen5 Glocks are not exactly new. They've been around for a few months, but not all models got to wear the Gen5 badge all at once. It looks like Glock is slowly rolling out this updated pistol series, and the latest are set to be the G26 and G34 MOS Glocks, to get the Gen5 badge. Both Glocks come standard with the Glock Marksman Barrel, ambi slide-stop levers, no finger grooves, and nDLC finish. These two pistols are due to be available in stores starting January 22nd, and I'm glad I waited to buy a Gen4 G26, since I am crossing over to the dark side of the Force with my first Glock purchase. A lot of new guns and gear will be released over the next four weeks, so make sure you check back often. We won't likely be able to report on a lot of it, since not everything is related to self and/or home-defense. But, whenever we feel like something applies, we'll be all over that like a fat kid on cake. What are you hoping is released at SHOT Show, 2018? Let us know in the comments below. And, if you haven't given Matthew's article about the breakdown and maintenance of Glock pistols, make sure you give it a read. Many have said it's the best they've ever seen on breaking down one of their pistols.